Per Georg Olsen keeps track of Mjøndalen Sports Club’s 1,640 members. Using KlubbAdmin, it’s a simple job that also provides more revenue. Olsen is one of many enthusiasts engaged in Norwegian recreational sports. As membership secretary of the Mjøndalen Sports Club, he is responsible for keeping the membership records updated, invoicing, and reporting to the board, all tasks that have over time been significantly streamlined using data tools. Since 1983 Olsen has been active in the sports club, so he has first-hand experience of the professionalization within recreational sports. “The previous system we used to keep track of members was cumbersome to use. In particular, KlubbAdmin has been streamlined. I have a constant overview of who has not yet paid their membership subscriptions, and sending reminders is just a keystroke away. It has also become cheaper to send out an invoice,” explains Olsen, who has a grandson in the sports club who is close to his heart. 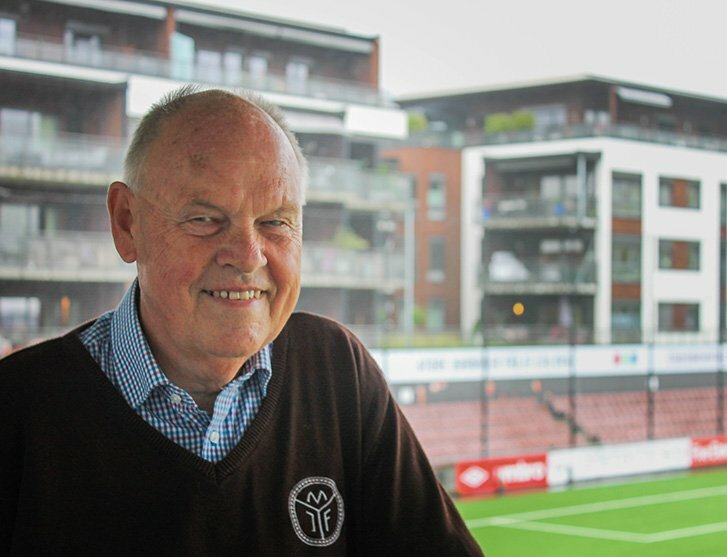 Olsen throws a proud look towards the Mjøndalen stadium before revealing the benefits of using the Norwegian Confederation of Sports’ systems. “KlubbAdmin is one of several tools we use to manage and control the club. What I'm really impressed with is that all these tools work together, avoiding duplication of manual effort. Using these tools has saved us a lot of time,” says Olsen, who highlights that members can update personal and payment information themselves in the personal app "My Sports". The information then automatically updates in all club systems. In addition to the ease of use, the tool makes it easy to create annual reports containing all relevant information about club members. Smart payment features from Buypass provide easy payment processes for both club officers, and members and their families. “KlubbAdmin provides relief for all membership officers in Norwegian sports clubs. The system is easy to use and you can find online help, but if you're not able to find the answer there, the support department can be contacted by mail and phone. My experience is that they respond quickly, usually within 24 hours,” Olsen notes as he adjusts the sweater with the club logo placed, of course, just above his heart.